On 3/25, we will have an Open House and School-Parents Social Event from 9:30AM – 11:00AM in the Parents’ room. Gourmet pastries, fresh fruits, hot coffee and cold beverages will be served. 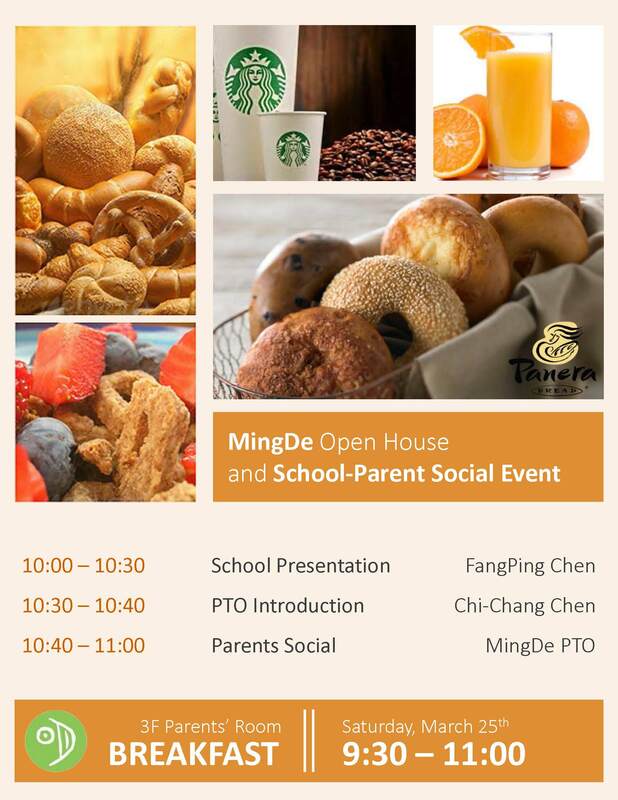 This event is sponsored by MingDe PTO. Principal Chen will also talk about school safety policy, Chinese character stroke order, how to help your children learning Chinese etc.. Join us this Saturday for this wonderful event.